To be fair, Microsoft executives say they aren’t seeing any deterioration in quality, and attributed some of what I saw to glitches. (We’ve updated this story based on Microsoft’s responses to our original report.) 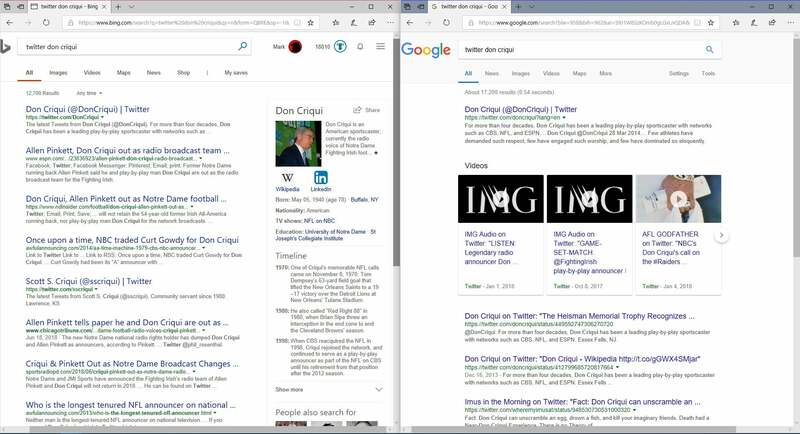 My examples, which I’ve listed below, also highlight specific examples of Bing’s decline—which again, to be fair, represent my own subjective opinion through cherry-picked examples. See what you think in the examples below. 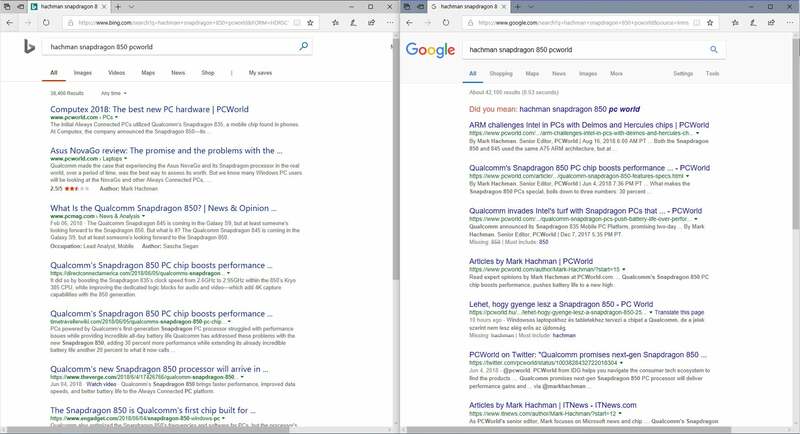 As part of our conversation, Ribas pushed back on my claim that Bing’s overall quality had diminished. 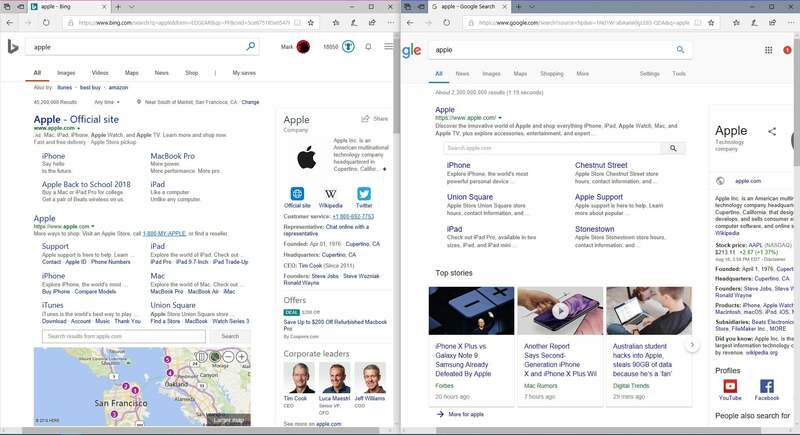 As part of the Bing’s internal testing process, he said, Microsoft spends millions of dollars on what the company calls “independent judges,” third-party testing agencies that are paid to look at anonymized search results from both Bing and Google. 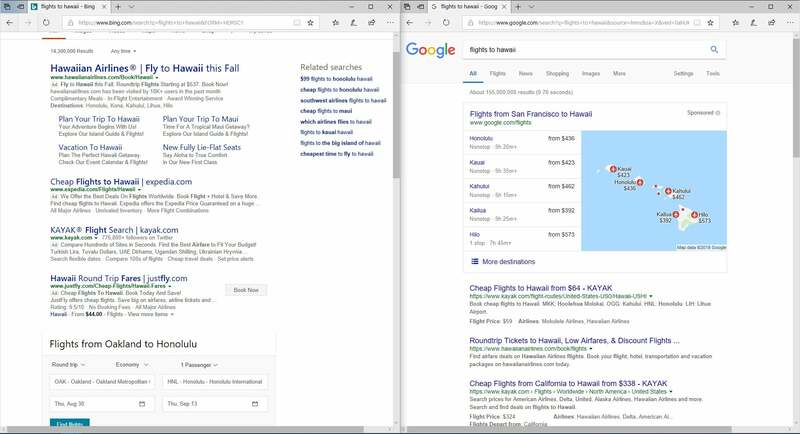 All told, more than 10,000 results are examined per month, Ribas said, selected randomly from search logs. Each page is ranked as a win for one side—again, the testers don’t know which is which—or as a tie. Microsoft then tallies them up; a positive score indicates that more pages are being decided in favor of Bing, and a negative score shows that the competition, Google, is winning. 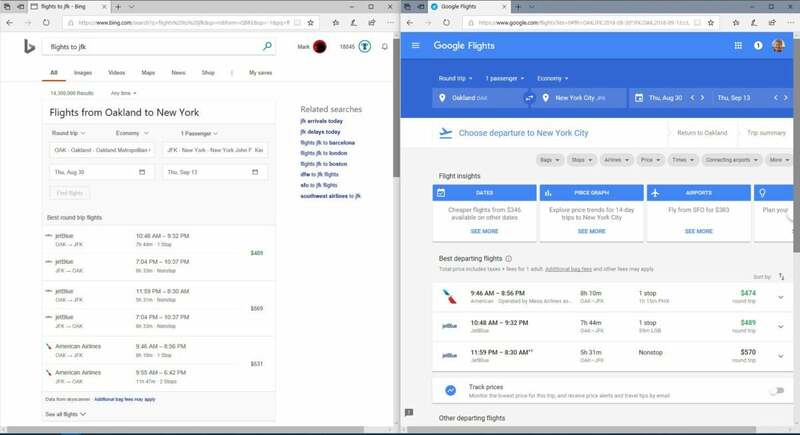 These metrics show that Microsoft in fact is winning on the order of several points per month dating back to June 16, according to a graphic that Ribas shared via a Skype call. 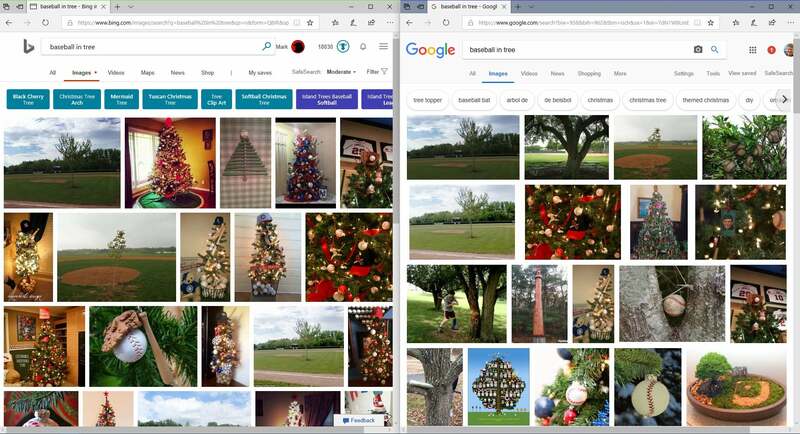 Here, Ribas showed a few quick examples where Bing did well in displaying “random” combinations of objects in images, such as dogs and cats under a couch. 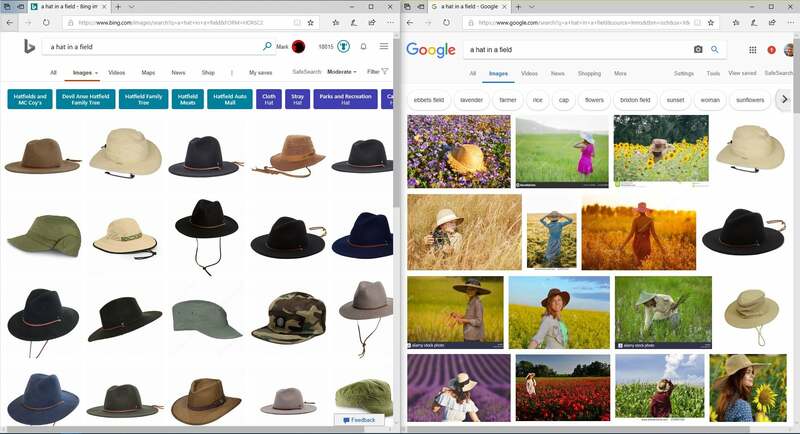 Bing also allows you to search within an image, Ribas noted, highlighting a vase, for example, as a distinct object from the coffee table upon which it’s placed. 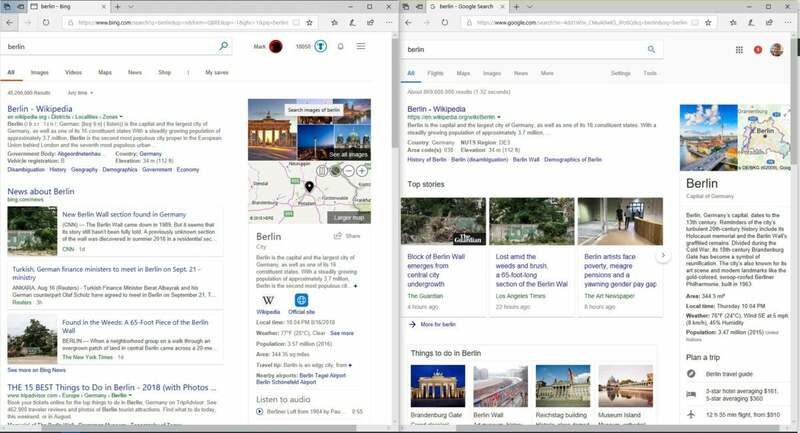 Ribas also pointed out that Microsoft has spent effort in distinguishing itself in other niches, such as recipes, as well as summarizing e-sports results. 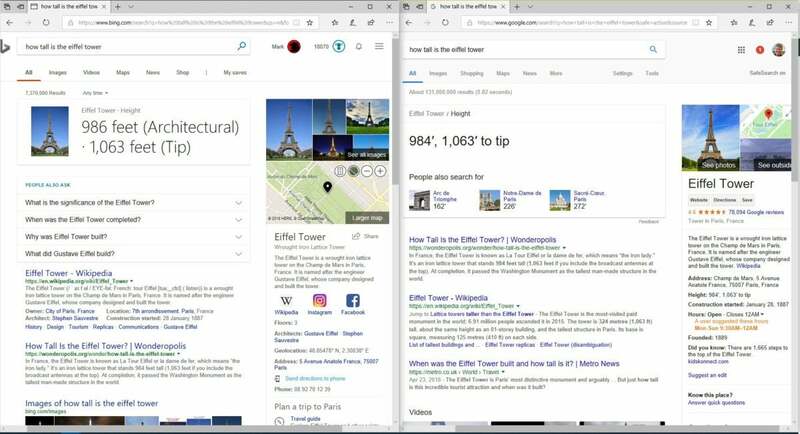 Still, I’d say that Microsoft’s management clearly believes that Bing’s road to success lies in this broad middle ground of frequently-searched terms, rather than in some of the more specific niches that I’ve highlighted. 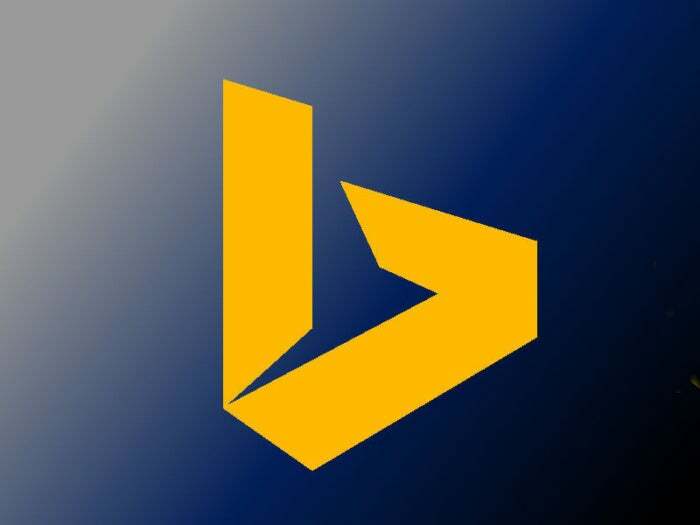 “Bing it” may never become a common verb. 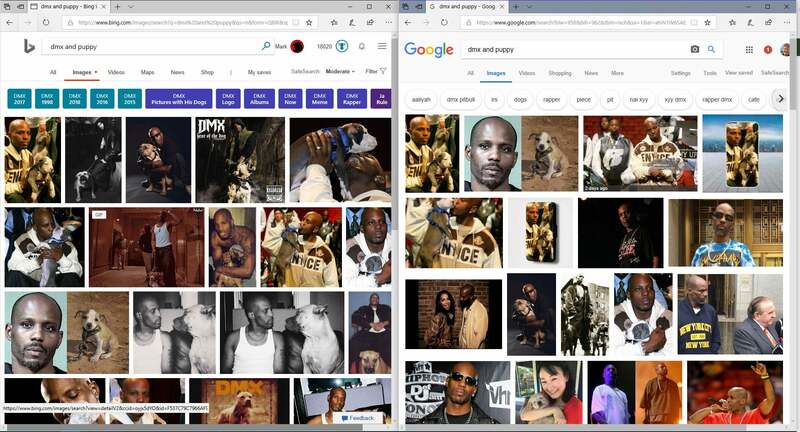 But if I’m turning more and more to Google, I just wonder how many other people will make Google their default search engine—for the first time in several years, I’m considering it myself. 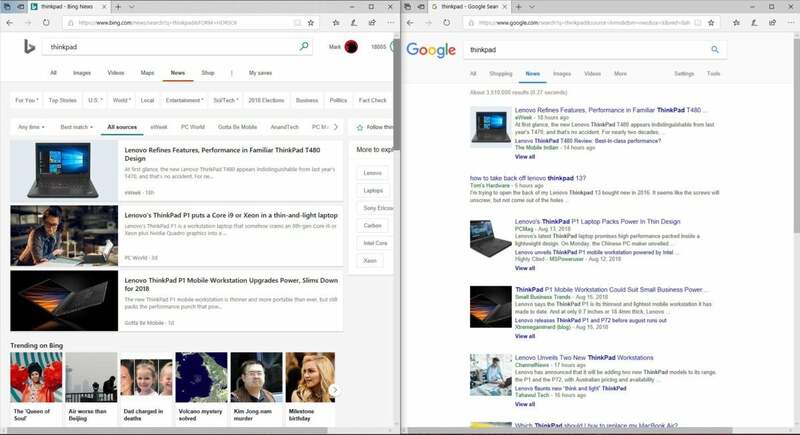 This story has been updated at 12:34 PM on August 23 with comments from Jordi Ribas, the corporate vice president of Bing and AI products at Microsoft.